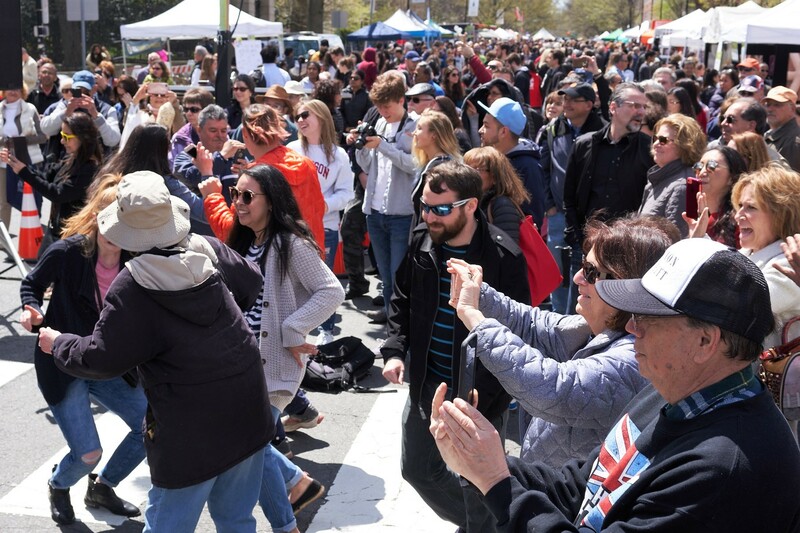 On Sunday, April 28, from 1-6pm, the Arts Council of Princeton’s (ACP) Communiversity ArtsFest returns for its 49th year. 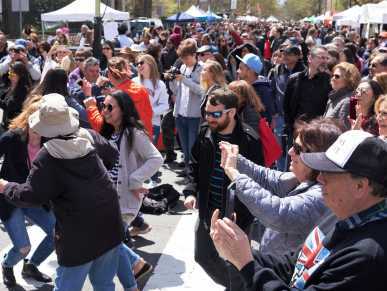 This renowned town-and-gown arts festival, the region’s largest and longest running cultural event, attracts more than 40,000 art lovers and epicureans to downtown Princeton each year. Through participation from the students of Princeton University and the town of Princeton, Communiversity ArtsFest features more than 225 booths showcasing original art and contemporary crafts, unique merchandise, and culinary masterpieces from local chefs. Jim Levine, interim executive director of the ACP, states, “Communiversity ArtsFest celebrates and showcases the talents of many local artists as it inspires and connects our community and visitors through art.” He continues, “Proceeds from Communiversity ArtsFest allow us to offer an array of engaging and accessible art programs for the diverse population of the greater Princeton region.” Art-making and appreciation is at the heart of Communiversity ArtsFest. The Arts Council will offer opportunities for children to get hands-on on Palmer Square Green, with the chance to create recycled material “Trash Hats” at the popular Nana’s Make a Mess tent. In addition, there are watercolor, drawing, and clay projects for them to create, as well. Palmer Square Green also features live art demonstrations including Wood Stain Painting with Sean Carney, Acrylic Paint Pouring with Fran Eber and Plein Air Oil Painting with Barbara DiLorenzo. The 20+ year tradition of Chalk Murals continues, featuring local student-artists along the sidewalk of Palmer Square. At the Paul Robeson Center for the Arts, artists from the ACP Ceramic Studio transform clay as they spin ceramics on the wheel right in front of your eyes. A group of talented painters will engage in plein air painting with the Arts Council’s popular Paint out Princeton. Esteemed artists will be dispersed around downtown Princeton with their easels to capture the moment, mood, and magic of Communiversity ArtsFest. Seven stages will feature live non-stop music and performances throughout the day, both in town and on the University campus. Returning favorites include The Blue Meanies, Essie, Lisa Botanica Fiesta Flamenco, Princeton School of Rock, and The Shaxe. Acts including Green Knuckle Material, The Dirtee Blondes, and Switch Mob will join as new performers in 2019. For the full list, please visit artscouncilofprinceton.org. The event would not be possible without the generous support of sponsors such as AT&T, Baker Auto, Palmer Square Princeton, and Princeton Garden Theater. For a full list of event sponsors, visit artscouncilofprinceton.org. Communiversity ArtsFest takes place in Downtown Princeton with many parking options including the Chambers, Hulfish and Spring Street Garages. Additional parking can be found in Princeton University’s parking lots, free and open to the public. Streets are scheduled to close at 11am. Visit princeton.edu/parking for details. A free shuttle bus, sponsored by sponsor Princeton Shopping Center will be available for attendees who park at the Princeton Shopping Center, 301 Harrison Street, Princeton, New Jersey. The shuttle will run continuously throughout the event. Based on the success of last year’s bike valet, an additional location has been added this year. Those biking to the event will be able to utilize two bike valet areas – one in the HiTops parking lot on N. Tulane St. and the other at 4 Mercer Rd at Nassau St. Those who are able are encouraged to walk or bike to the event. Show us your snaps by sharing with the official event hashtag: #communiversity2019. Look for the 2019 Communiversity ArtsFest App in the App Store or on Google Play. For more information, visit artscouncilofprinceton.org or call 609.924.8777. The Arts Council of Princeton, founded in 1967, is a non-profit organization with a mission of Building Community through the Arts. 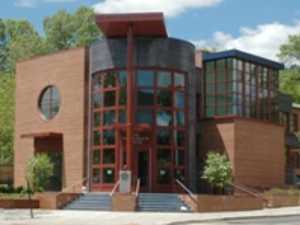 Housed in the landmark Paul Robeson Center for the Arts, designed by architect Michael Graves, the ACP fulfills its mission by presenting a wide range of programs including exhibitions, performances, free community cultural events, and studio-based classes and workshops in a wide range of media. Arts Council of Princeton programs are designed to be high-quality, engaging, affordable and accessible for the diverse population of the greater Princeton region.